To print onto a single sheet of paper the feelings and thoughts behind a photograph you had taken. To first think the questions of who, where and how to share that image, before providing the form and location that matches the intention that you want to be expressed. For this part, we will take a look at one aspect of a completed photograph, the ‘printing and framing’. We live in a time where photographs are casually shared through the likes of SNS sites such as Facebook and Twitter. We can assume that most of these photographs that are taken are saved as they are as data. However, producing a printed work that had the time and effort behind it goes beyond what SNS can achieve. That is an actual physical object, filled with the qualities of that image which makes photography fascinating. Even though I work as a framing coordinator alongside my work in a photo gallery, I am of the firm belief that a photograph is “brought to life” for the very first time when it is printed. The first thing printing from this perspective in mind requires is selecting the right paper for the image. Since the variations in the gloss of the surface and the difference in ground color of warm tone and cool tone paper leave a lasting impression, the paper has to be meticulously chosen. Once the paper is selected, repeated test prints and adjustments take place, eventually creating a single finished photograph. This is where I want the image framed so the charms of the photograph can be thoroughly enjoyed. Framing is a measure to protect a cherished photograph from ongoing damage and deterioration while allowing it to be viewed with ease. 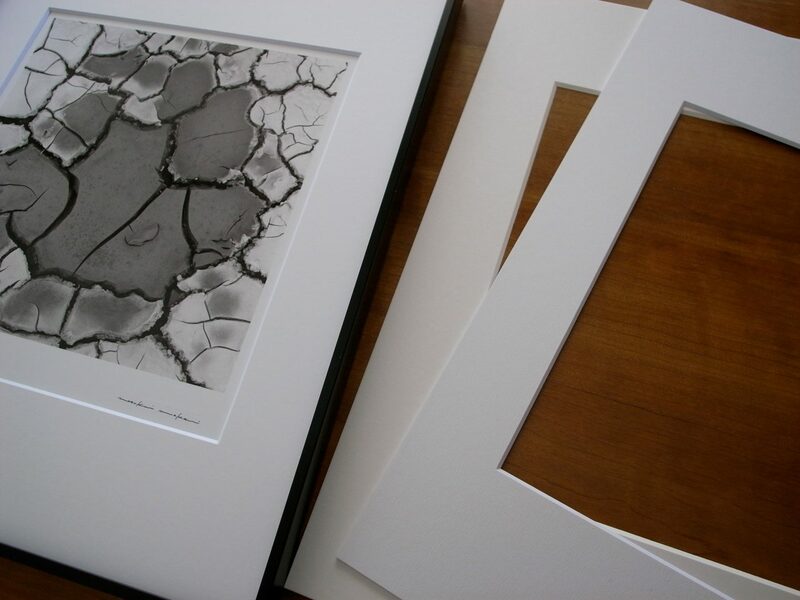 Components like the glass on the frame (made from acrylic), and the mat (the mount that encases the photograph) protect the photograph from any impact. Furthermore, the mat contains a desiccant that keeps the humidity within limits and acts to stop mold from forming. Using a product designed to cut UV rays into the glass or acrylic would minimize fading and discoloration. Framing has one more function other than to protect the photograph. It has the role of projecting the beauty of a photograph. Whether it is your photograph or by someone else, ask yourself “what do you want the photograph to express”. Choosing the frame and thinking about the design is another way to enjoy photography as opposed to taking or viewing a photograph. What I want to focus on in that regard is the width of the mat. It does depend on the size and the photographers personal preferences, but the rule-of-thumb is around 7cm. Going wider tends to give an impression of elegance and class whereas going narrower tends to feel more casual. Also in the case of fixing the mat to create space, the frame would likely feel out of place if the mat and the space are greatly different in color, so preferably select a color for the mat which is close to the color of the space. Though there are various other ways to project the beauty, such as forgoing a mat, or offsetting the space for the photograph and so on, for those not acquainted with this area, it is recommended to first consult with an expert to bring out the individuality of that important photograph to its fullest. Now there is one more thing to consider when it comes to framing. “Projecting a room”. A place where a photograph is on display can dramatically alter the space to something more sophisticated. The wealth of life spent living with a photograph can be felt not only for yourself but also for family and guests. As far back as can be remembered in Japan, there is a culture to provide hospitality to people by way of changing the hanging scroll in the alcove of a traditional Japanese room as well as decorations and ornaments according to the seasons. They say “among family and friends, it is not only the works to share and enjoy, but the room and everything with it”. This is one of the great attractions of putting a photograph on display. Just avoid a place with direct sunlight or heat and humidity, and select a suitable time, place and occasion to show your work. Take a photograph and edit it. Then print it out, insert it in a frame and put it on display. A photograph that meets this goal is sure to be a unique, one-of-a-kind piece of “work”. Besides planning exhibitions, sells on behalf of photographers, conducts lectures and workshops, and frames photographs.